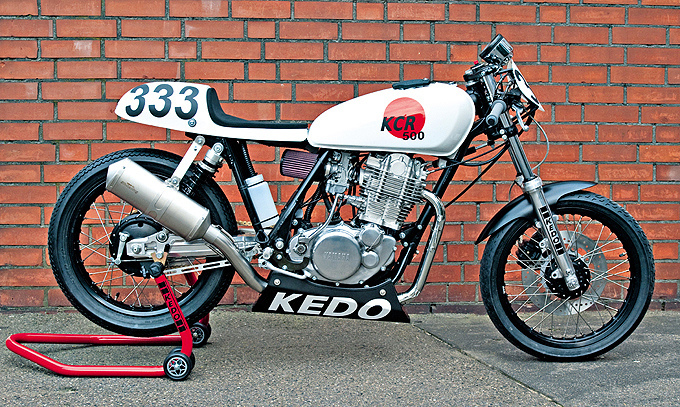 If you’re the owner of a Yamaha SR500 or a XT500 then you have probably come across Kedo while searching for parts on the internet. They are based in Germany and have been sending motorcycle parts and accessories all around the world for over 15 years. We recently received their comprehensive catalogue in the mail and were impressed to see they have built this limited edition SR500 racing bike. 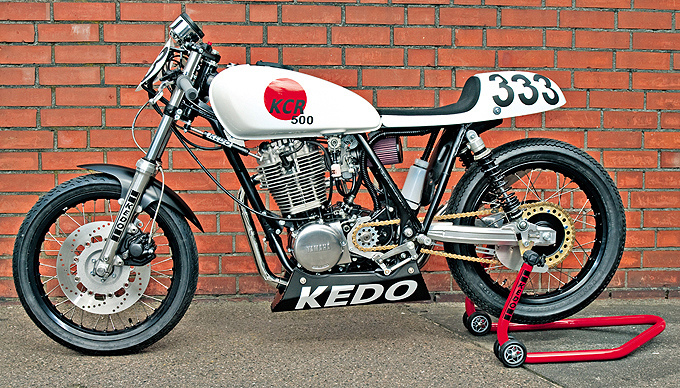 Kedo’s press release says “10 years of racing experience went into building this race bike. Our objective was to get the maximum out of both engine and handling by using close-to-production material and no expensive special parts. However, at the same time, we would not accept any compromises regarding durability and practicality. The KCR500 is now built to order by Kedo as an exclusive low volume production. Together with many perfectly restored and modified genuine parts, lots of popular items from our product range are included. The engine is refurbished and tuned; the wheels and most cosmetics are all new. If it was not for the bones of this bike being at least 20 years old, you could easily label this bike as a quasi ‘brand-new’.” This ready to race KCR500 is being sold for 9.900 Euros or $12,800 USD and Kedo will only be building 5 of these impressive bikes. • Steering damper, fork with cartridge-emulator. Progressive front suspension and fork-stablizer.